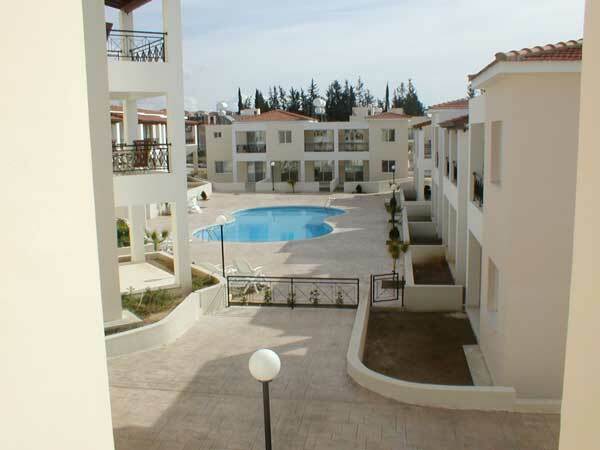 This brand new two bed-roomed apartment is situated on a small complex in the Kato Paphos area. 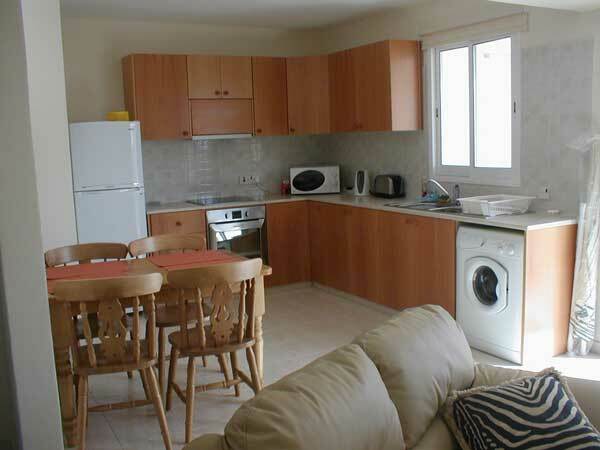 The apartment is just a 15 minute stroll to the picturesque harbour and seafront where you will find an abundance of tavernas, restaurants, street cafe's, gift shops etc. . The apartment sleeps up to 4 people. 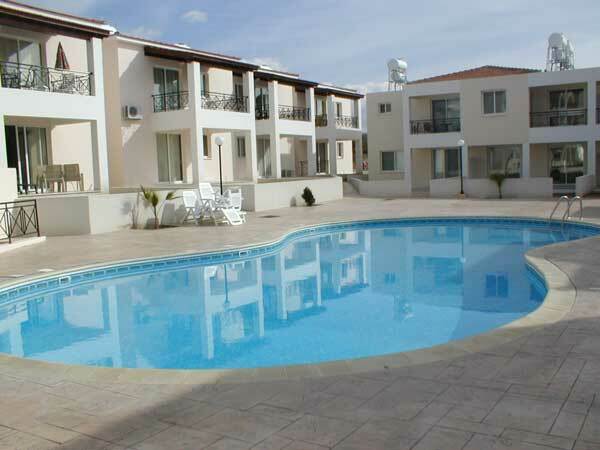 It features two double bedrooms, one with double bed and the other with two single beds. The apartment has two bathrooms, one being en-suite with shower. There is an open plan lounge and dining area with a fully fitted kitchen containing microwave, washing machine, fridge/freezer, cooker , hob, toaster, kettle etc. The lounge area leads onto a furnished balcony, with a view to the communal pool. The apartment is fitted throughout with ceiling fans for your comfort, and the bedrooms also have air-conditioning for those hot summer months. There is also a CD & Cassette Player for your use and a wall safe for your valuables. The apartment is cleaned and linen and towels changed once per week.